1845. 392 pages. No dust jacket. 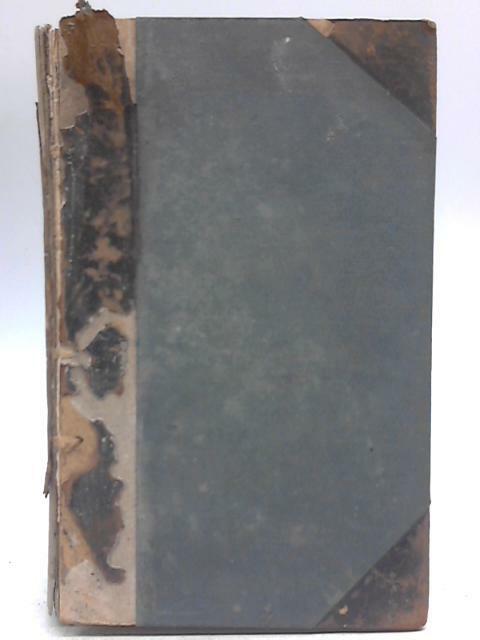 Half bound in leather with grey cloth. Contains black and white illustrations. Heavy tanning and marking, with foxing and minor dog-eared corners to pages. Some tears and chipping to occasional pages, with heavy cracking to hinges, exposing binding thread. Page 202 been taped, three quarters of page 203 torn off. Heavy tanning to text block edges. Light rubbing and tanning to pastedowns and endpapers. Boards are heavily worn, rubbing and marking overall. Heavy bumping to corners and crushing to spine ends. Large split to both joints of spine, with heavy water damage to surfaces. Heavy peeling and large areas of loss to spine leather.